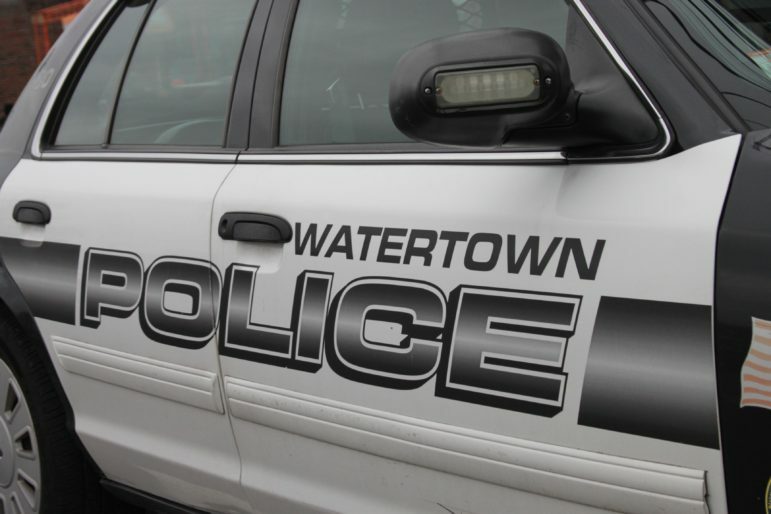 The following information was provided by the Watertown Police Department. Jan. 28, 6:22 p.m.: Police received a report of two people shoplifting at Home Depot. The pair had been seen in the power tool section taking items, and when officers arrived a man and a woman were running away through the parking lot. Police caught the woman at the intersection of Arsenal Street and Greenough Boulevard, but the man got away. The pair had taken a Milwaukee power tool kit, a Milwaukee battery charger, a Milwaukee Sawzall, and a two-pack of Milwaukee batteries. The total amount of the items taken was $876. They put the items in a carriage and tried to walk out of the store without paying, but security confronted them. That is when they fled. The 23-year-old Franklin woman was arrested on a charge of shoplifting over $250. Later, the man was identified and summonsed to Waltham District Court of shoplifting over $250. Feb. 3, 4:14 p.m.: An officer on Mt. Auburn Street conducted a query of a the license plate of a nearby vehicle and discovered the registered owner had a warrant for her arrest. The vehicle was pulled over and the officer confirmed that the owner was behind the wheel. The 50-year-old Somerville woman was arrested on a charge of unlicensed driving and a warrant from Brighton District Court for unlicensed driving. Jan. 30, 6:18 p.m.: A man at Miller’s Ale House paid for his tab with a credit card, stuck around for a while. Before he left he went to the restroom and left his wallet on the bar. When he returned it was gone. The wallet contained cash, three credit cards and a state ID card. Police are investigating. Feb. 2, 10:10 a.m.: A man discovered that two checks he sent to pay property tax for properties in two different towns were cashed but not by the municipalities. One check was for $1,607.79 and the other for $1,298.57. The checks were mailed from Dedham. Police are investigating. Feb. 2, 1:42 p.m.: Police went to Home Depot after a shoplifter had been seen in the store. The suspect was gone when police arrived. The man put a nail gun into a carriage and attempted to leave without paying. When he saw security coming, he ran away and go into an older Chevy Blazer and took off. The suspect is described as a man wearing a dark blue or black puffy down jacket and blue jeans. Looks like they may have caught the thief who was breaking into Watertown homes. Long police record but on the street due to sympathetic judges. Let’s hope they lock him up for a long time so homeowners don’t have to continue to worry about at least one of these criminals.